These Farmhouse Bookshelves (Advent Edition) + Giveaway! It’s Saturday. Let’s have a little fun, shall we? 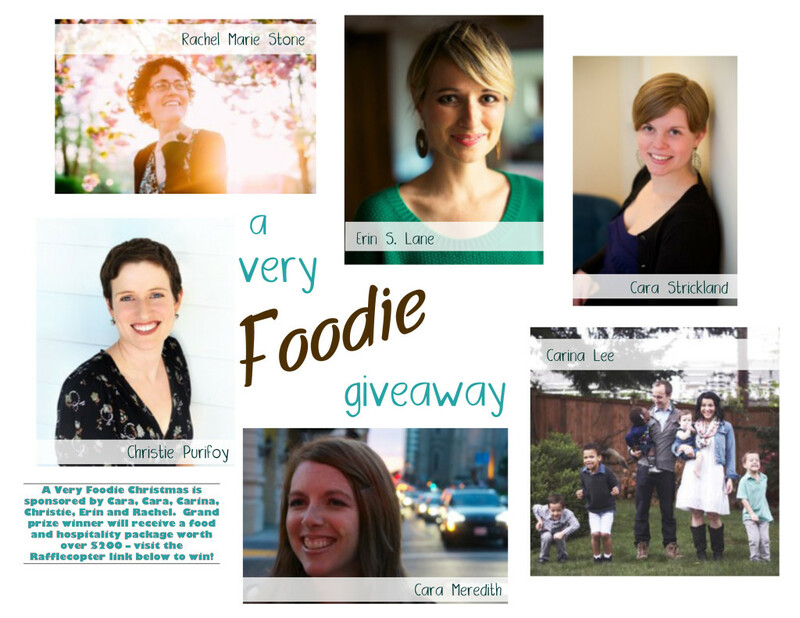 In addition to another installment of my Saturday series of book recommendations, I am inviting you to enter a fabulous foodie-themed prize giveaway organized by some of my favorite writers and a few new friends. 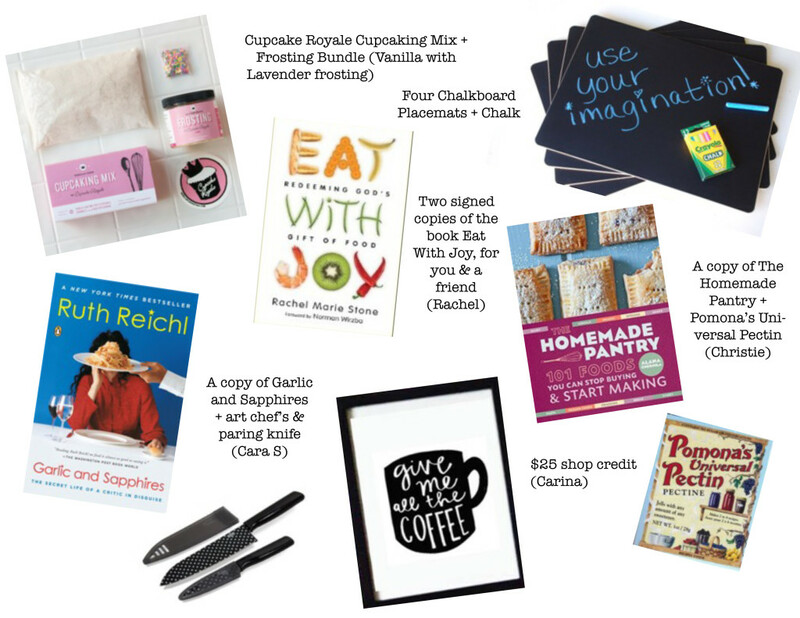 I’m giving away a copy of one of my favorite cookbooks (a book I’ve recommended before), The Homemade Pantry by Alana Chernila, and a box of the magic white powder that changed my life. Seriously. With Pomona’s Pectin you can make jam without any added sugar. Unlike every other pectin you’ll find on your grocery-store shelves that require equal (horrifying) amounts of sugar and fruit, with Pomona’s you can make your jam with fruit only, with a little honey, with fruit juice, with maple syrup, just however you like it. And jam-making (especially freezer-jam making) is one of the easiest, most satisfying things you can do in the kitchen. Life-changing stuff, I tell you. Rachel Marie Stone is a writer living near Philadelphia. In the past eight years, she has lived in four countries and two states, and will gladly tell you about the various kinds of pizza she ate (or didn’t eat) in each place. Her book, Eat With Joy, won the Christianity Today Book Award for Christian Living. You can connect with her further on her blog, Twitter, andFacebook. Carina is an etsy shop owner, writes when she can, works with Noonday to advocate for women around the world, and loves food. Preparing it, consuming it, sitting together around a table filled with friends and family enjoying it. She lives in Seattle, WA with her five lively children and one awesome husband, and drinks way too much coffee. You can connect with her on her blog, etsy shop, and Instagram(among other places). If you’re reading this post in an email or a reader, you’ll need to click over to enter. While preparing this post I noticed that the paperback copy I own is no longer available. I am actually glad about that. This book deserves a hard cover, especially since, like me, you’ll be pulling it out year after year. Winter Solstice by Rosamunde Pilcher is the perfect, cozy novel to reread each Advent season. I’m about to begin rereading it myself. I say cozy, which it is, but I think this cozy is a cut above your typical holiday movie. This novel is thoughtful, sweet, never too sweet, atmospheric. It takes place in Scotland. Need I say more? This is one for reading by a twinkling Christmas tree. I think books make the best Christmas gifts, and I especially love to give beautiful editions of classic favorites. Of course, the problem with beautiful books is that I really just want them for myself. These new editions of the classic L.M. Montgomery series are lovely: Emily of New Moon: A Virago Modern Classic (Emily Trilogy). Well, this is fun. Who’d have thought I could ever get excited about pectin? I am now! oooh that pectin sounds like a revelation! Watch for the Light is my very favorite Advent book. And I read Winter Solstice at this time every year. Love. Oh Watch for the Light sounds good, I have been looking for something like that. Thanks. Wow … each gift looks super fun. I shall have to add Winter Solace to my list. I really enjoyed The Shell Seekers a lot, and September not quite as much. I enjoyed her writing though. Something particularly good for winter, for some reason. Eat with joy is something this girl needs to do. I’ve eaten with dread far too long!